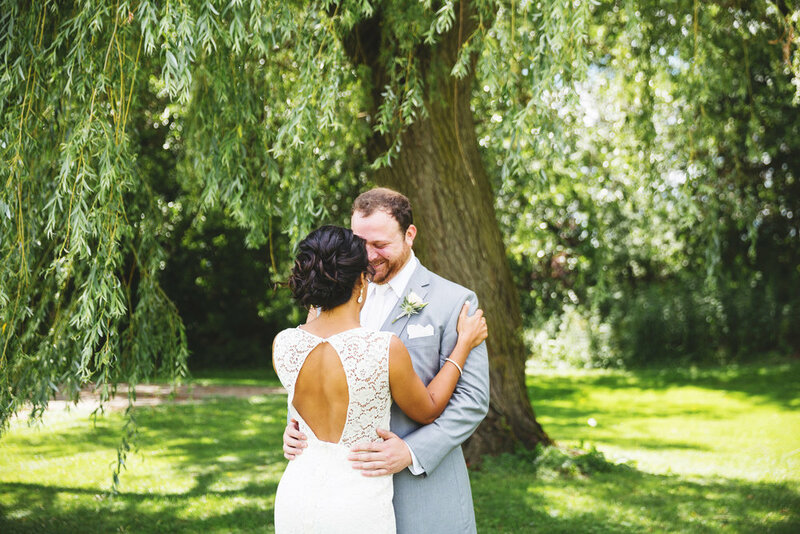 Sara & Ben's quirky venue provided the most beautiful backdrop for their I Do's and the celebration they shared with family and friends. 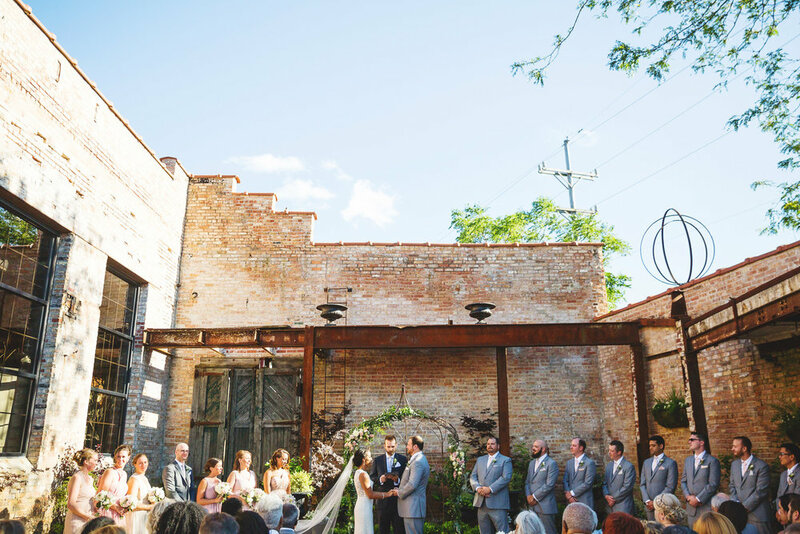 The spot it actually an operating flower shop with a beautiful courtyard for the ceremony, a whimsical patio for cocktails and a room with wooden beams and exposed brick for the reception. 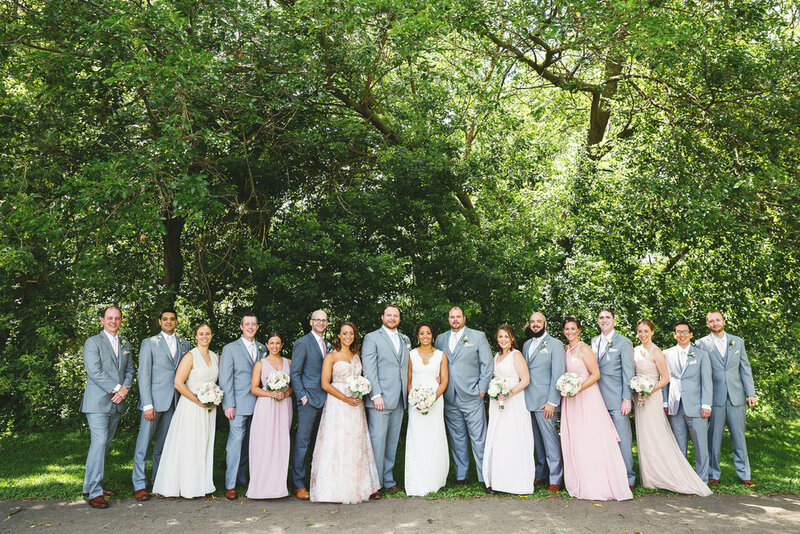 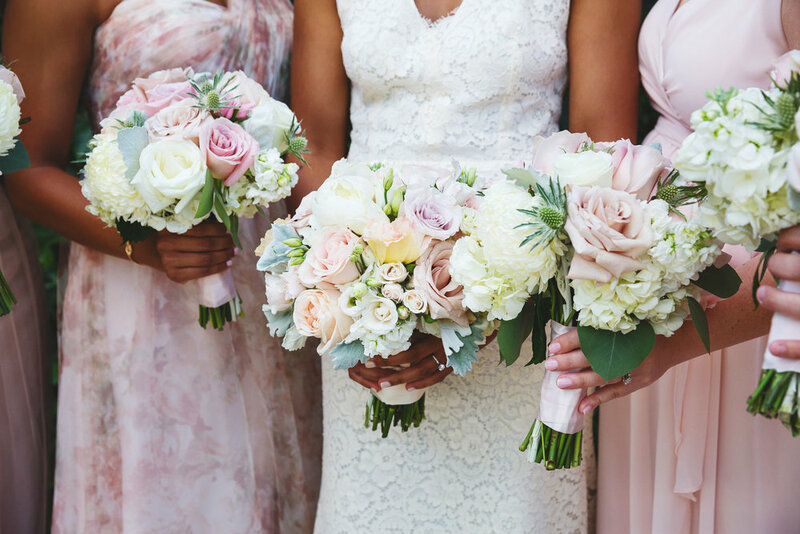 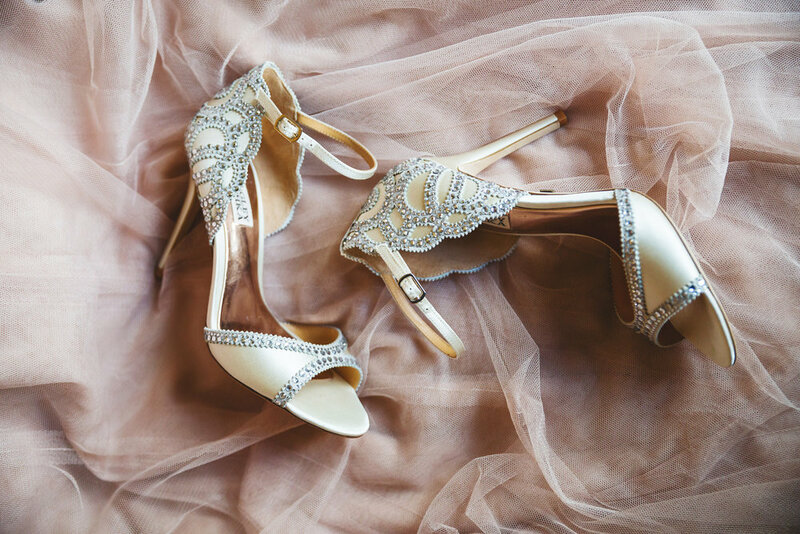 The bride wore an unexpected BHLDN gown and her bridesmaids wore coordinating dresses - the twinkly lights and gorgeous florals just added that much more romance to the day!